Open House at Manomet Inc. Headquarters! Have you ever been curious about the work we do at Manomet, Inc. and how a nonprofit with local roots is making a global impact? Want to learn more about our plans for the Holmes Farm? Then join us at Manomet Headquarters in Plymouth for an Open House on Tuesday, August 21 (the rain date is Wednesday, August 22). We’ve got a number of fun events planned to give you an insider’s view of Manomet and our work to build a more sustainable world. 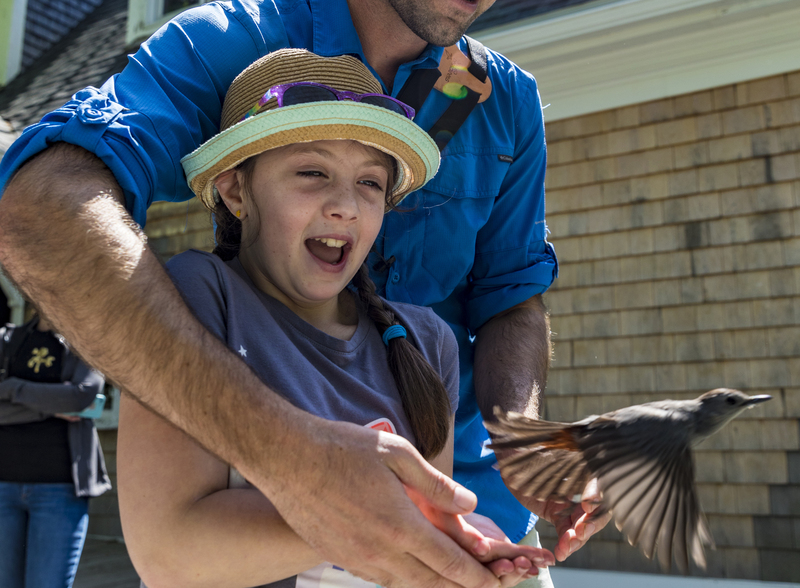 Whether you’re interested in bird banding, the 100-year-old Manomet Garden for Wildlife, a guided tour of our property, or want to hear directly from Manomet scientists about the fascinating work they’re doing, there’s sure to be something for everyone. We’ll also have informational tables set up around the property so you can interact directly with Manomet staff. And resident beekeeper Jim Lifton will join us with some interactive materials to show firsthand what goes into the beekeeping he does on-site. And of course, there will be plenty of fun (and educational!) activities for kids, like a bird banding demonstration, a scavenger hunt and nature walk, and an interactive presentation on how to tell the age of a tree by counting its rings. You don’t want to miss this Open House! It’s a great chance to meet the Manomet team, learn more about what we do, and enjoy a fun afternoon connecting with the natural world. See complete schedule and event descriptions below. Space is limited for our scheduled events, so registration is strongly encouraged. Otherwise, you are welcome to drop by anytime during the Open House to meet our staff and learn more about what we do. 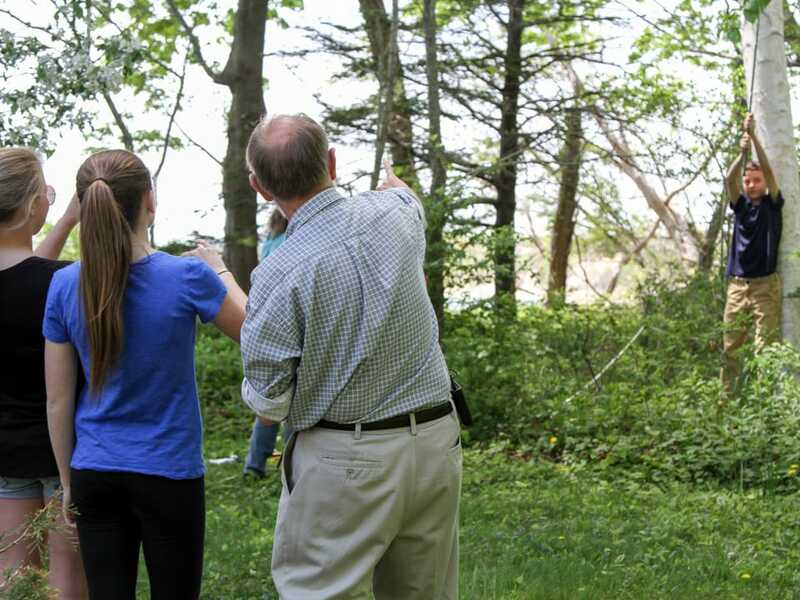 Learn more about bird banding at Manomet. You’ll get a firsthand look at how we band birds and collect the necessary scientific data, and more importantly, you’ll learn why it’s so important that we’ve been doing this for 50 years. Master Gardener Kim Goggin will give you an up-close-and-personal look at Manomet’s Garden for Wildlife. You’ll learn more about the garden’s 100-year history, starting under the Ernst family, along with Manomet’s restoration efforts, and how you can apply our sustainable gardening practices to your own gardens. Limited to 15 participants. This educational and interactive presentation for kids will look at how we can tell the age of a tree without cutting it down. Applied Forest Scientist Jennifer Hushaw will have an example tree core on hand for show and tell, and participants will learn firsthand about counting tree rings to age a tree, how the rate of growth changes from year to year, and see examples of the oldest trees in the world. Manomet staff will lead participating children across our property on a fun and educational scavenger hunt. Along the way, we’ll highlight some of the wildlife, insects, and vegetation that call Manomet home. Will the spruce and fir disappear from our mountains? 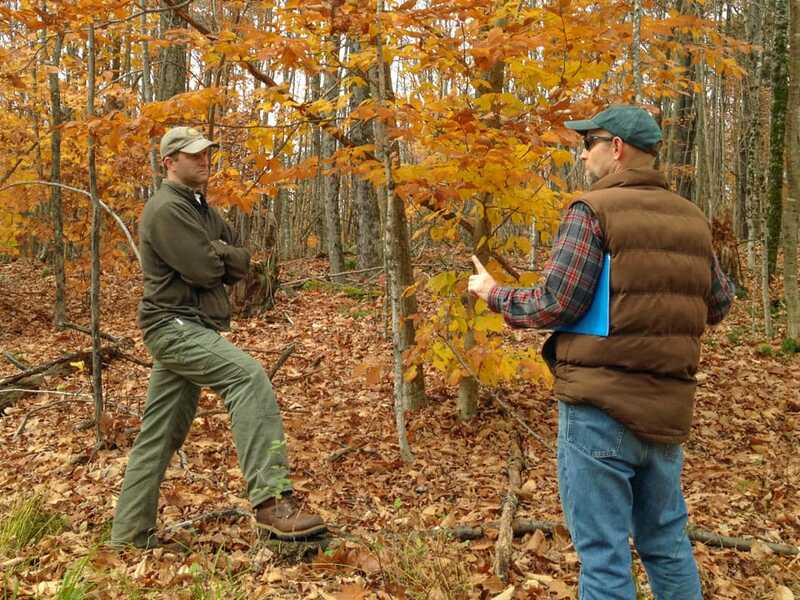 Will maple sugaring become a thing of the past? Or will the woods of the future look the same as they do today? Applied Forest Scientist Jennifer Hushaw will tell us how the climate is changing, what it means for our forests, and how healthy forests are one of our best tools for combating the challenge of climate change. Get a firsthand look at Manomet’s property on this guided tour. You’ll get a behind-the-scenes look at our Banding Lab, walk our net lanes, see the Manomet Garden for Wildlife, and get a (not so up-close) look at our beekeeping operations. Director of Shorebird Habitat Management Brad Winn will provide insight into how nearby beaches and coastal wetlands support not only locally breeding shorebirds but also those migrating from as far away as Arctic Alaska. You’ll also learn more about the research that Manomet biologists are conducting to help unlock the mysteries of shorebird migration and population decline. Learn about the history of the Holmes Farm and find out what Manomet has planned for the future of this property. Following the presentation, there will be an opportunity to join Manomet staff for a walk around the Holmes Farm to see the property firsthand and visualize the changes we have planned.